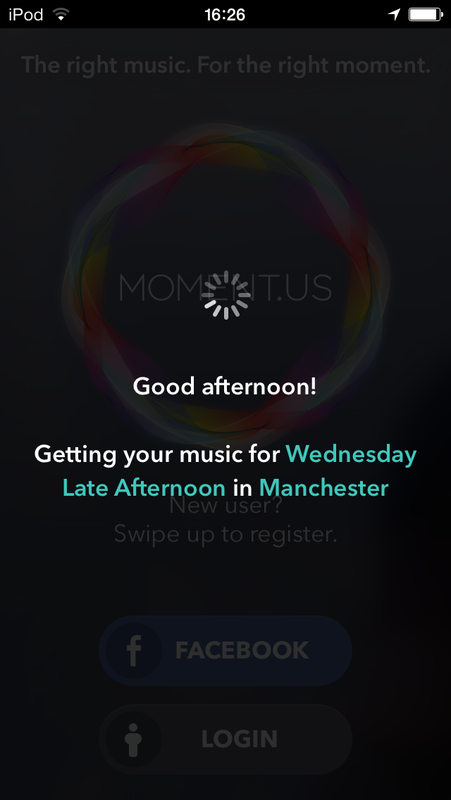 Moment.us for iOS: the Right Song for Right Now? If there’s one thing that movies have taught us, it’s that there’s a perfect piece of music for any given situation. Lovers saying a tearful goodbye on a railway platform, marines foiling a terrorist plot, zombie dinosaurs going ballistic on a space station – whatever happens, there’s a soundtrack to suit it. What if the same was true of life? If Moment.us has its way, there will be. 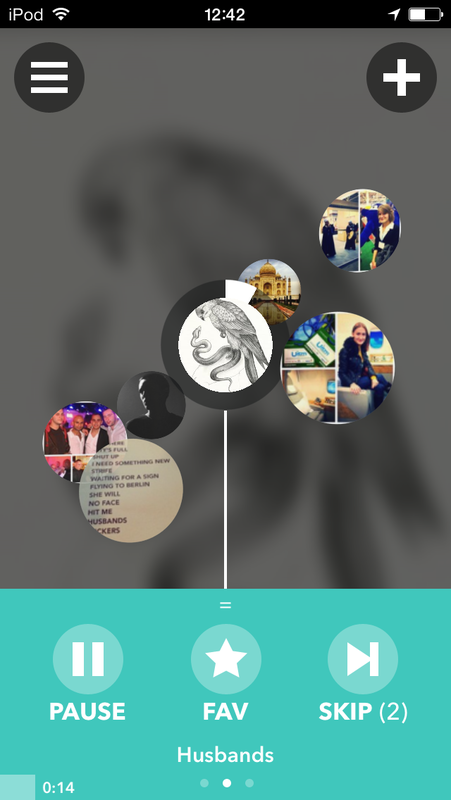 This Manchester, UK-based startup operates with the slogan “The right music. For the right moment.” What is the right music to listen to on a rainy Wednesday afternoon in New York City? 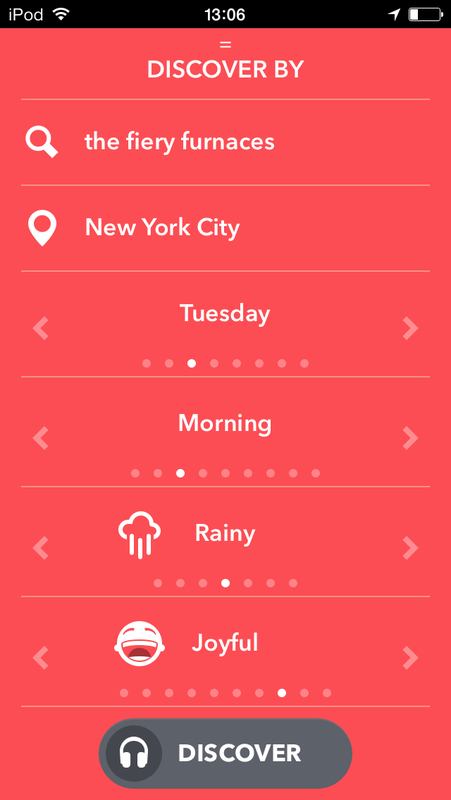 Open the Moment.us iOS app and it will generate a playlist of music for you based on factors like your location, the weather, the time of day, day of week and data from other users of the app. As a song plays, you’ll see various ‘moments’ orbiting it. Select any of these and you can see what other people have said about that song on Twitter. 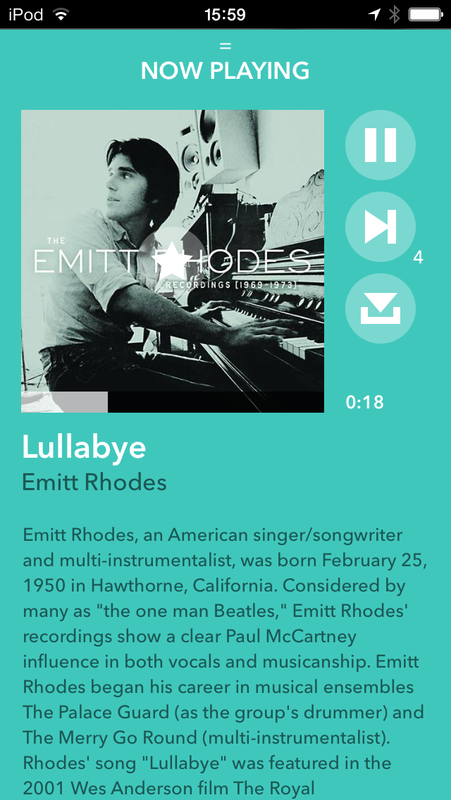 ‘Moments’ for songs can also generated within the app. 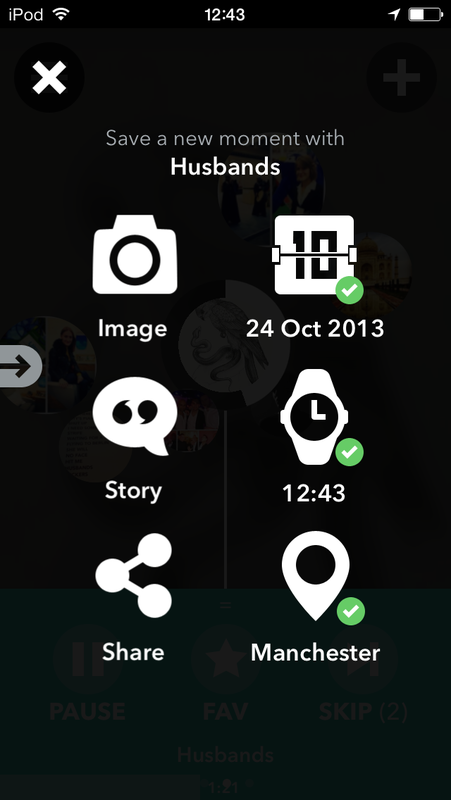 You can share a photo and a note, tagged with your emotion (happy, relaxed etc), the date, time and location. This data is then used to make the service more accurate for you and others in the future. Of course, context is nothing without taste. The perfect song for me is unlikely to be the perfect song for you, even if we’re in exactly the same place and the same time. Moment.us learns from your behavior to recommend better music over time and you can give it a helping hand by swiping the colored panel at the bottom of the screen to the right, where you’ll find a ‘Discover’ section that allows you to search for artists, tracks, keywords and more to help it pick something suitable for you. As interesting an idea as it is, Moment.us has its flaws. Its music is licensed through 7digital with an Internet radio license. This comes with the usual downsides – little control over the music it plays and a limited number of track skips per hour. Once you’ve skipped through six songs you don’t fancy listening to, you’re stuck with whatever the app gives you for the next 60 minutes. Meanwhile, the UI, while nicely presented and offering a user guide the first time you run the app, is a little confusing. Important functions like the ‘Discover’ tab a little too well hidden. The ‘moments’ it pulls from Twitter aren’t always actually that relevant, but as more users add their own natively, this will improve. It would be better if the app had a good idea of your taste before it started, too. A future version of the app will support the local music library on your device which will help, although the ability to link up Last.fm or a similar music sharing service would be useful too. Moment.us is in many ways an experiment: are there useful correlations between context and music? In addition to factors like day, time, weather and location, the app is logging all sorts of data from the iPhone’s sensors (movement speed and ambient light/sound, for example) for future use. If you use the app now, you’re essentially contributing to this experiment. It will be interesting to see how useful the app is in six months’ time when the startup has a lot more data to play with. In terms of monetization, it’s all about that data and the concept of ‘moments’. You like hip-hop and you’re in a shopping mall on a Saturday afternoon around the end-of-the-month payday? Maybe Nike has some rapper-endorsed sneakers to recommend to you. Indeed, Moment.us took part in the brand-focused Collider12 accelerator as a result of this potential. Moment.us reminds me of Ireland’s Soundwave, in that it’s building up a vast data set around mobile music consumption. Soundwave’s product is more polished but Moment.us’ dataset has a far richer set of variables that could stand it in good stead for the future. For now, it has an interesting initial app, and further funding and refining could lead Moment.us in some exciting directions.